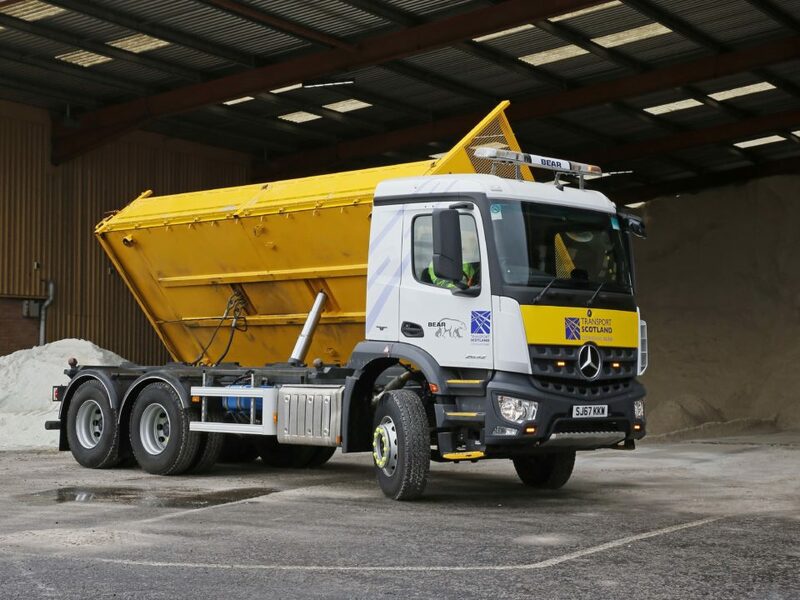 BEAR Scotland Limited has recently added an extra dimension to its Perth – based tipper fleet with the introduction of a range of new vehicles at 12, 18 and 26 tonnes gvw. 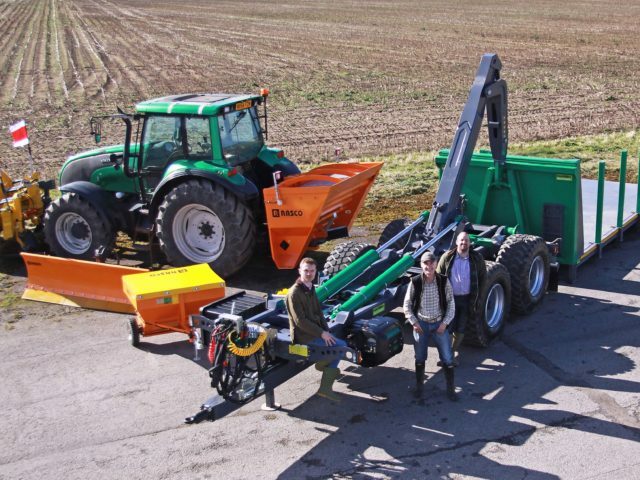 Designed to provide an extra level of operating capability, they have all been fitted with HARSH 3-Way tipping cylinders. 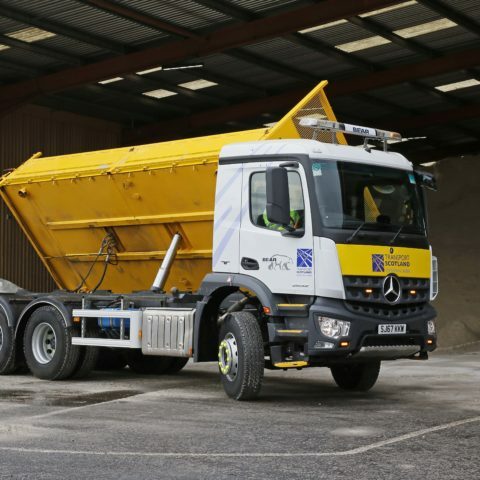 “3-Way tippers are not in themselves new” says Bear Scotland’s Fleet Manager Kevin Parkins, “but they are unusual for multi-axle tippers above 18 tonnes. Our new 6×4 Mercedes Arocs is the first 26 tonner we’ve specified with a 3-Way tipping gear because it gives us an extra level of operating capability over a conventional front end tipper. On narrow roads, for example, there often just isn’t the space for a large vehicle to manoeuvre and tip off the back of its body, whereas a 3-Way lets you drop the load off either side of the vehicle with no problem at all. In turn, we are also causing minimum obstruction to other road users. 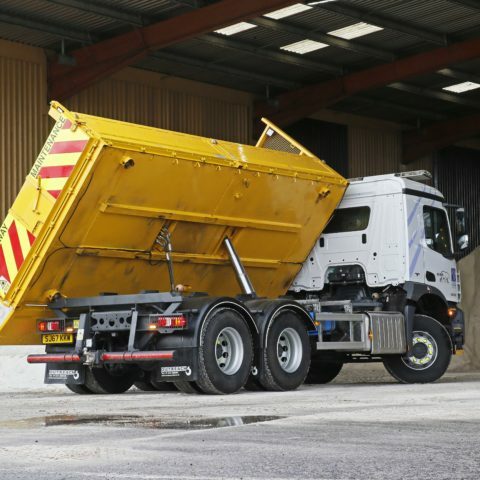 The 3 – Way tipper allows us to complete works more quickly, reducing disruption. 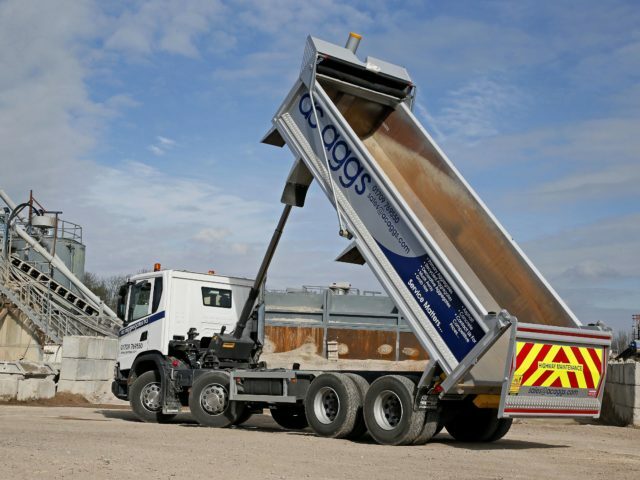 Due to the nature of some of our works and the location of quarries and tips, we wanted more payload capacity than an 18 tonner, but without seriously affecting overall practicality and manoeuvrability” adds Kevin. 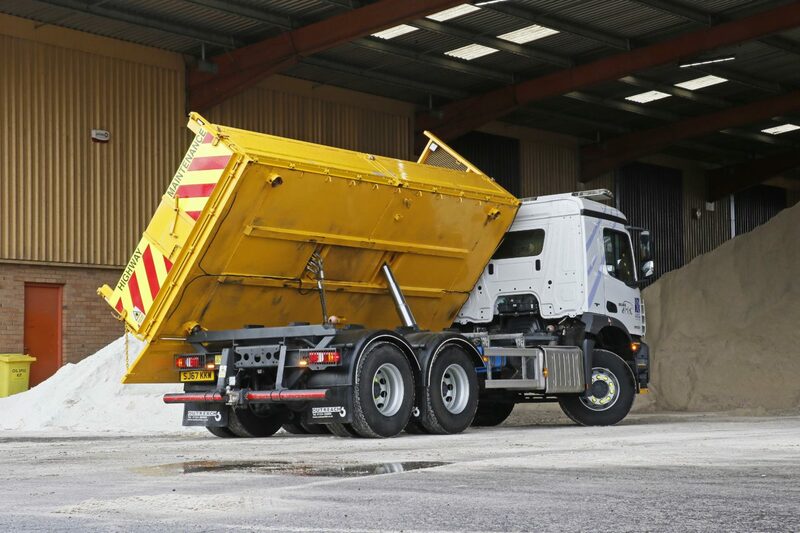 Another key advantage of 3-Way tippers concerns safety of the vehicle crew, because for pavement and kerbside work they never have to work part-hidden behind the truck or even step onto the carriageway. Compact and easy to install, the reduced weight of the 3-Way tipping cylinder and its oil tank offers an additional operating benefit, saving more than 100kgs over a conventional combined ram and tank front end cylinder. 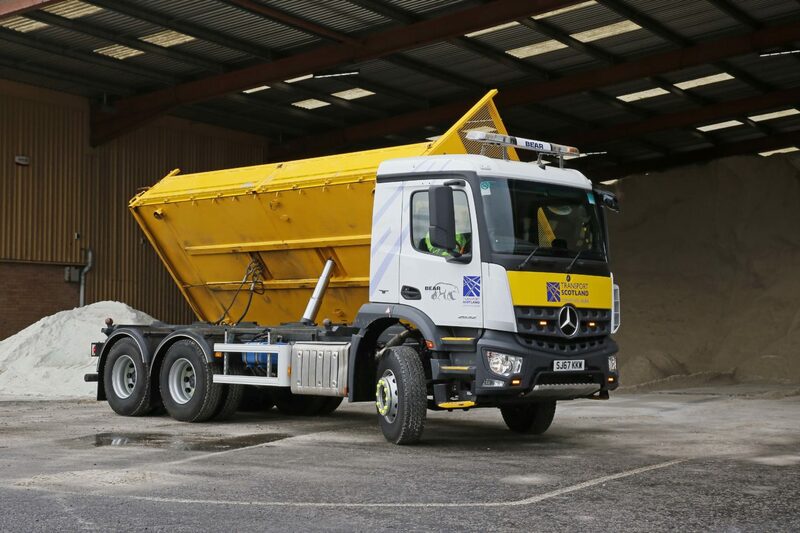 Configured with steel dropside bodies built by Outreach in Falkirk, all of BEAR Scotland’s new 3-Way tippers offer optimum operating solutions throughout the vehicle weight range.